I nflation up and dollar down – that in very simple terms was the final outcome of a complex economic week, one that ended with the government renewing its firepower as we head deeper into an election year. There was strong upward pressure on the dollar toward the end of the week, after the INDEC national statistics bureau confirmed on Thursday that Argentina’s stubborn inflation rate is refusing to slow. The bureau reported a 3.8-percent surge in the consumer price index for February. But, on the same day, the government was lining up heavy ammunition against that pressure. From Washington, Economy Minister Nicolás Dujovne announced that he had cleared the use of US$9.6 billion worth of International Monetary Fund (IMF) stand-by loans to defend the currency. The government will be free to use those funds in the last three quarters of the electoral year, at the rate of US$60 million a day to retain control of the peso. Back in Argentina, Central Bank Governor Guido Sandleris reacted to INDEC’s report, saying that inflation was “too high” and announcing some major new initiatives, including extending the money supply freeze from midyear to all 2019 and slowing down currency depreciation from a monthly two percent to 1.75 percent, thus lowering the ceiling on intervention. The two-pronged counteroffensive from Dujovne and Sandleris had immediate results on yesterday’s exchange markets where the dollar dropped 80 cents to close the week at 41 pesos. For once the greenback was running behind inflation since it has risen 6.1 percent so far this year as against a 6.8 percent price rise according to the INDEC figure. In a very near future it is expected that export earnings from what is predicted to be a bumper harvest will be reinforcing the US$9.6 billion announced by Dujovne following a meeting with IMF Managing Director Christine Lagarde. This sum is almost half of the US$22.57 billion falling due this year out of the total package of US$56.1 billion negotiated last June. The shock inflation figure exceeding forecasts – outpacing January in the shortest month of the year – was driven by above-average increases in fuels, utilities, food (especially meat) and beverages. Household expenses (including electricity, gas and water bills) were the worst culprit at 6.4 percent while food and beverages weighed in at 6.7 percent. 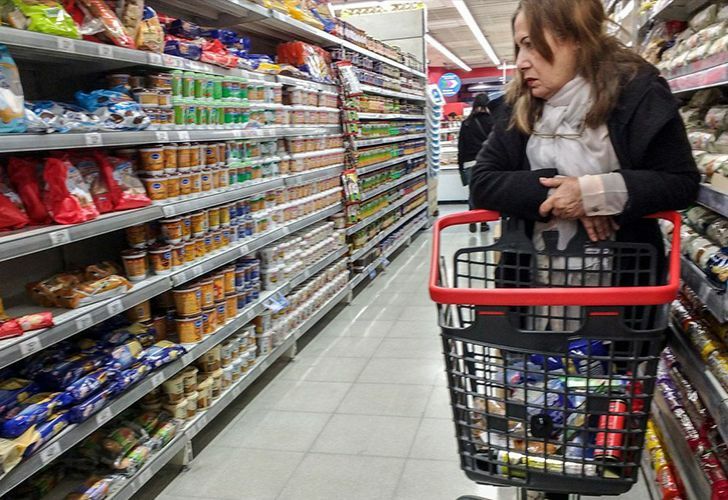 Inflation in the first quarter of 2019 thus promises to be worse than in the last quarter of 2018 with annual inflation now peaking at 51.3 percent (the highest figure in the Mauricio Macri presidency) as the elections draw closer. 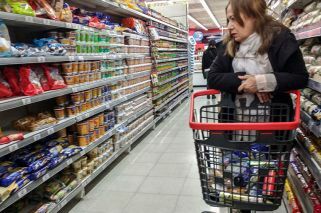 Private forecasts have already raised their inflation forecasts to 31-32 percent as against an average of 28.7 percent at the start of the year, which does little to help President Macri’s re-election hopes. At least inflation remains unlikely to top the 47.6 percent of 2018, the highest in nearly three decades, with a massive loss of purchasing-power as wages and pensions failed to keep up with price increases. The dollar seems back under control but the week also closed with more inflation in the pipeline – bus and train fares went up yesterday with the minimum bus fare increasing from 16.50 to 18 pesos for a total 38 percent so far this year while the cost of subway tokens is set to rise from 19 to 21 pesos next month.